Mulatu Astatke is one of Ethiopia’s major musicians. 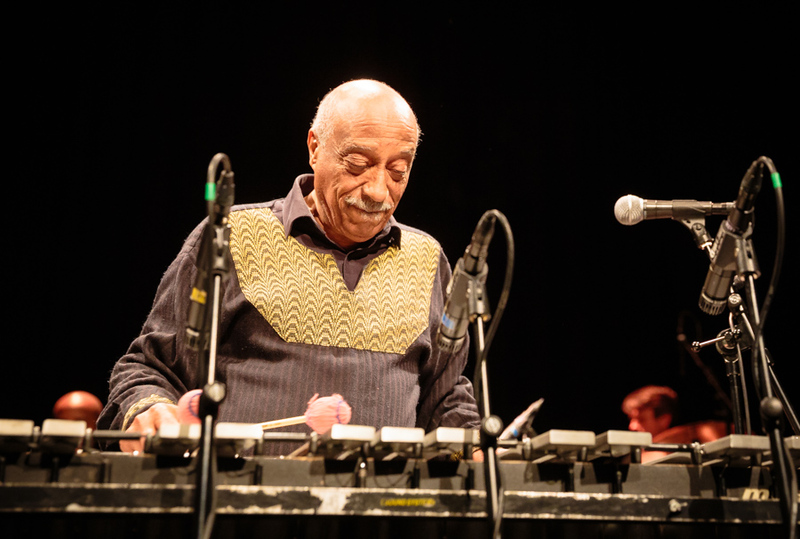 In the late 1950s, he travelled to London, and later Boston and New York, absorbing jazz and Latin music, recording several LPs (one of which, Mulatu of Ethiopia, has become a legend among DJs in recent years), and eventually bringing both modern jazz and Latin influences and specific instruments back home to Addis Ababa. On piano, organ, vibes and percussion, with his arrangements and compositions, and as an agent provocateur, he became a pivotal figure in a great era of Ethiopian pop and jazz, from 1968 to 1974. To this day, he remains a ubiquitous presence in the Ethiopian music scene, as club owner, music school founder, radio DJ, composer, arranger and instrumentalist. The Either/Orchestra is among the longest running and most important large ensembles in jazz. Since 1985, under the direction of founding saxophonist/composer Russ Gershon, the ten-piece group has traversed the history and stylistic range of jazz to make great music out of unexpected connections between styles and approaches to music. Like the late Art Blakey’s Jazz Messengers, the E/O has been a kind of graduate school of jazz, whose alumni include John Medeski, Matt Wilson, Josh Roseman and Miguel Zenon, among dozens of other significant players. In 1997, inspired by the work of Mulatu Astatke among others, the E/O began playing their own arrangements of Ethiopian popular music, which garnered them an appearance at the Ethiopian Music Festival in Addis Ababa in January 2004, the first Americans ever invited.